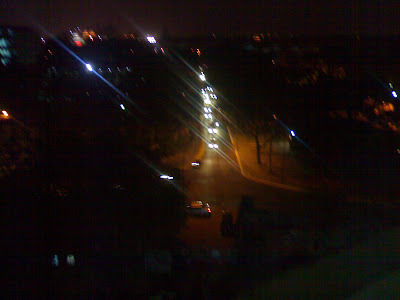 Delhi at night. These photos are taken from the fifth floor of All India Radio's New Broadcasting House. 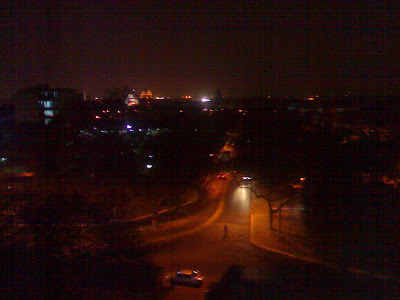 The camera in my phone could not do justice to how beautiful the view looked - the Parliament, the North Block and numerous cars and buses going by. Hope this photo gives you an idea. The breeze blowing through my hair was an advantge that the photos could not capture.